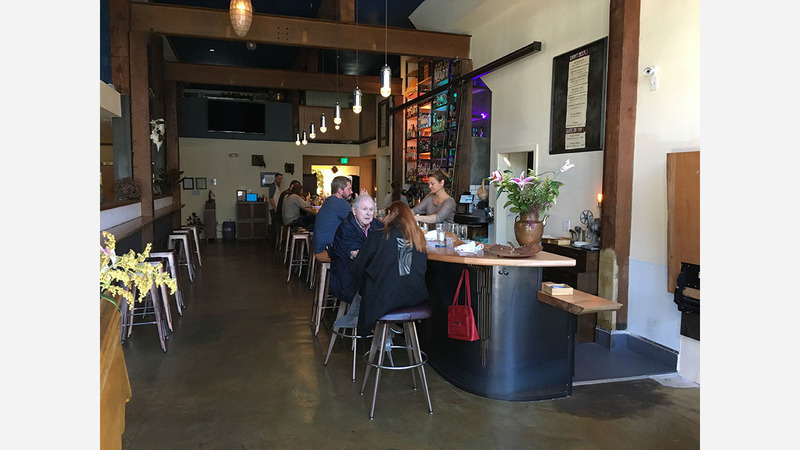 Three years after signing its lease, Oakland's Copper Spoon has added a weekday lunch menu. Before opening Copper Spoon, co-founders Vita Simone Strauss and Carmen Anderson launched Sassafras Seagrass in 2013, a food truck that offered "fast foods" made from meats, fish, herbs, seaweeds and greens. 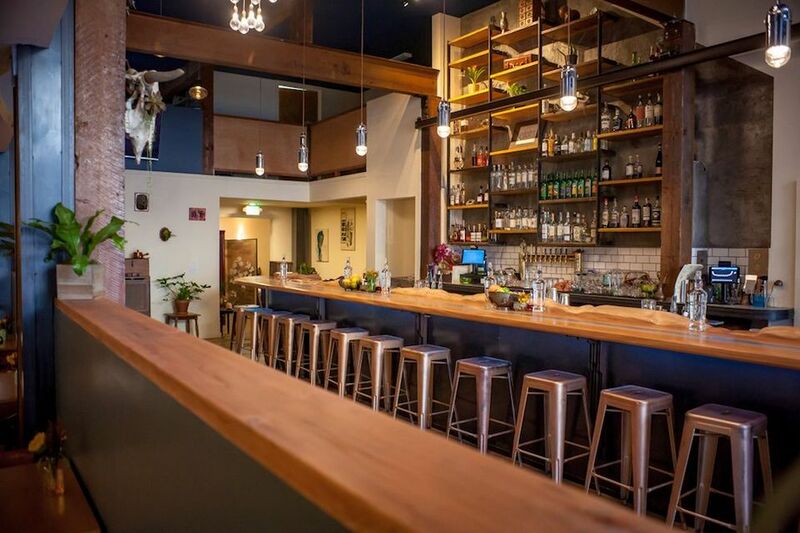 Since 2015, their brick-and-mortar restaurant has operated as a cocktail bar with a dinner menu, now with lunch offered weekdays from 11:30-2:30. "Lunch has always been the plan," said Simone Strauss. "We just needed to work out the kinks and get back staff hired." Featured dishes include lamb sliders, "a real crowd-pleaser," said Simone Strauss. "It's got a seventeen-ingredient rub on it. It's delicious and flavor forward." House specials also include chicken ginger bone broth with coriander; a green salad with kale pesto, cured egg yolk, spinach and olive oil; and the Sassy Salmon Melt with dill, caper, cream cheese, red onion and Monterey Jack. "Our goal is to think about meat dishes as vegetable dishes," said executive chef Andre Hall. "We add meat to vegetables instead of the other way around." Herbivores will appreciate Copper Spoon's vegetarian and vegan options, such as red cabbage leaf wraps and sprouted lentil bowls. 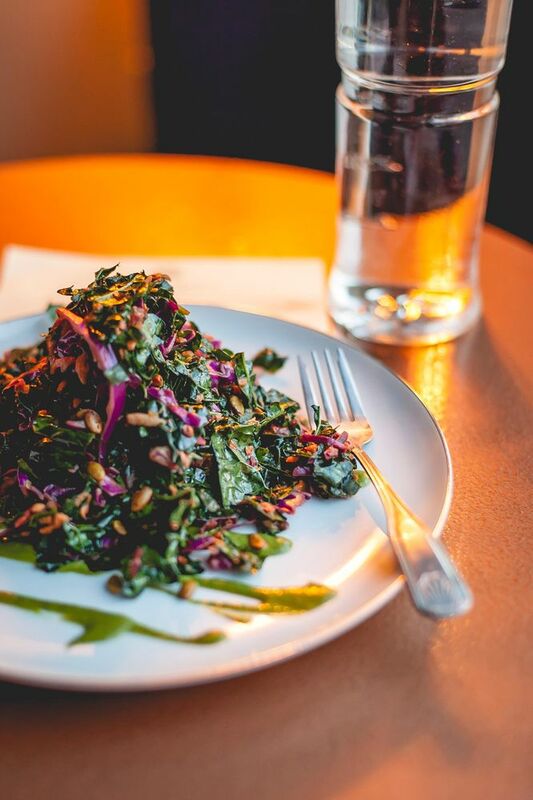 Pill Hill employees will appreciate a discount available exclusively for health care workers: half a sandwich, a salad, a starter, and their choice of happy hour drink or the daily health tonic for $17. The restaurant has also recently begun offering a brunch menu from 11 to 3 on Sundays, and hopes to eventually expand service to Saturdays. Other developments in the works include a monthly night market held the last Sunday of every month that will give local makers to show off their wares. Simone Strauss said she hopes eventually to build out the market to include live music and perhaps make the space as much a destination for live entertainment as for delicious food. "We're applying for a cabaret license in the next month," she said. Copper Spoon is located at 4031 Broadway (between 40th and 41st) and is open nightly from 5:30pm-2:00am, for weekday lunch from 11:30-2:30, and Sunday brunch from 11-3.